The new DoubleTree by Hilton Hull will be the largest conference venue in Hull and East Yorkshire and will open in November 2017. The venue will have 869sqm of ground floor, pillar free, flexible event space that can hold up to 1000 delegates theatre style. Hull is City of Culture 2017. The city has been transformed with a multi-million pound investment to create a vibrant, regenerated city centre, improved transport and many new and refurbished venues. 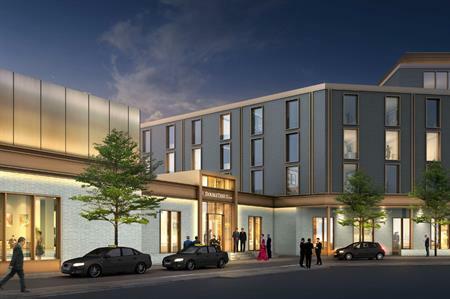 Helen Symonds, director of sales, DoubleTree by Hilton Hull said: "Our new venue will create a brand new geographical destination for association and corporate event planners. We will have a dedicated conference entrance, rooftop bar and branded restaurant and will be the only four star branded hotel in Hull city centre. Hull is only two and a half hours from London by direct train, and the train station is just a few minutes’ walk away."